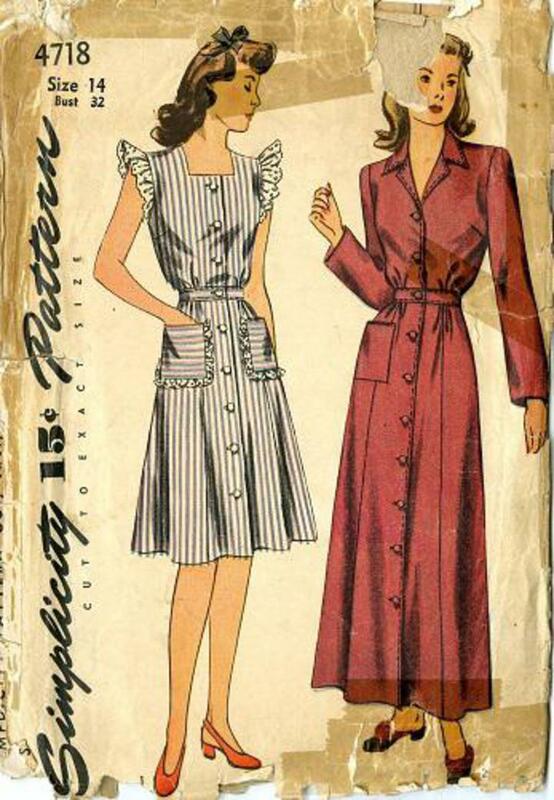 1943 Simplicity #4718 vintage sewing pattern, misses' housecoat, house dress, day dress, size 14. The waist and skirt are softly gathered and joined to the slim inset belt. The slightly flared skirt is cut in seven sections. Style 1 has a flattering armhole ruffle of dainty embroidered edging. V. 2 is finished with long sleeves and patch pocket. Unprinted tissue pattern, appears to have never been used.